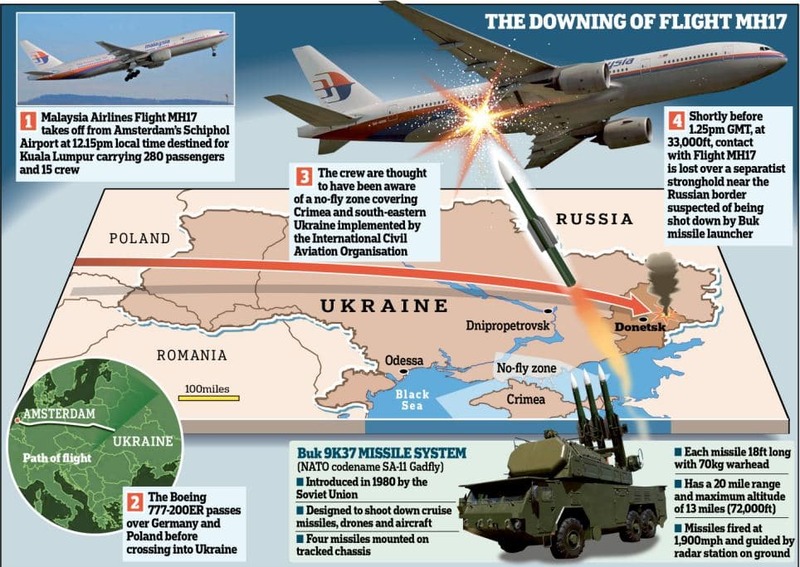 Did Malaysia Airlines MH17 last minute route over Ukraine airspace put it in peril? In the aftermath of the tragedy which saw Malaysia Airlines MH17 come to be downed with the loss of close to 300 people questions have been asked as to why the carrier persisted despite warnings to fly over the risky Ukrainian airspace? 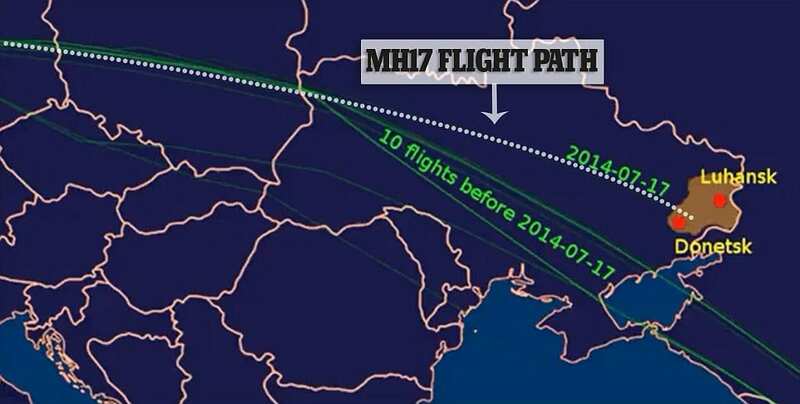 Furthermore new evidence points to the notion that pilots manning Malaysia Airlines MH17 on the fateful day may have unwittingly put the plane in harm’s way as they decided to take a course over the Ukraine which strayed markedly from that of the ten previous 10 MH17 flights. Malaysia Airlines MH17: Where are the black boxes and who has them? 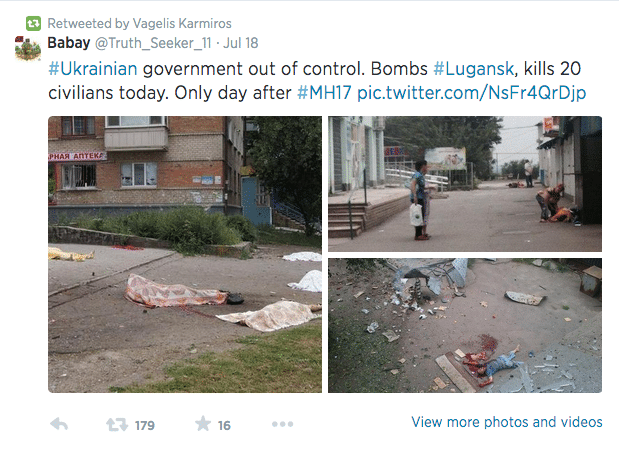 Did Russia’s Igor Girkin shoot down Malaysia Airlines flight MH17? Malasysian Airlines MH17 plane carrying 295 shot down. Who’s to blame? Since the downing, all major world airline carriers have pledged to no longer fly over Ukrainian airspace as persistent strife perpetuates in the war torn nation as pro Russian forces attempt to secede from the Ukraine. Nevertheless many airliners had already been circumventing the country for weeks after warnings from aviation authorities, with experts questioning Malaysia’s until recent insistence to fly near the fighting. In its defense Malaysia Airlines told other carriers flew the same path in the days and weeks before, pointing out that as many as 55 flights took the same route the day before and even on the same day its plane was shot down. Malaysian Transport Minister Liow Tiong Lay would insist yesterday that the airline’s path from Amsterdam to Kuala Lumpur had been an internationally approved route. Malaysia Airlines would later point to a Singapore Airlines passenger plane which was flying just 15 miles away from flight MH17 when it was shot out of the sky over Ukraine. Nevertheless questions remain in light of the fact that the U.S. Federal Aviation Administration had warned pilots as recently as April not to fly over parts of Ukraine, and the U.N.’s International Civil Aviation Organization told governments to warn their airlines. Thursday’s crash, however, occurred outside those warning areas, prompting the FAA to expand its prohibition to eastern Ukraine. In fact Australia’s Qantas airline stopped flying over Ukraine several months ago and shifted its London-Dubai route 400 miles to the south. Similarly Korean Air told it rerouted cargo and passenger flights in early March as the situation in Crimea deteriorated. Thomas Routh, an aviation attorney in Chicago, said it would be unusual for an airline to ignore such warnings, but he said there are many dangerous air corridors and airlines must decide whether a flight will be safe. ‘There are airlines flying through Afghanistan airspace every day,‘ Routh said. By Friday, snapshots from flight-tracking services showed dense traffic to the west of Ukraine, light traffic over western Russia, and very few planes over Ukraine. Dubai-based Emirates airlines suspended flights to Kiev indefinitely. 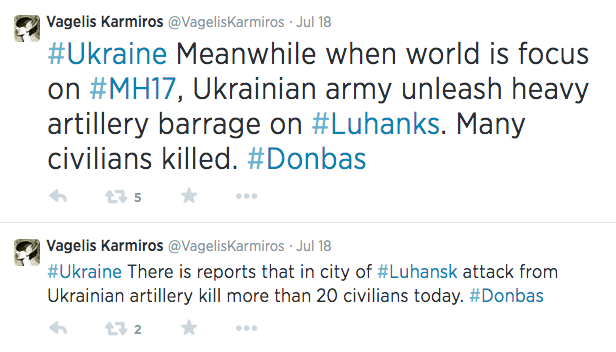 Germany’s Lufthansa rerouted trips to avoid eastern Ukraine, although flights to Kiev and Odessa were unaffected. Atlanta-based Delta Air Lines said that it would stop flying over any part of the country. India’s aviation agency said Air India and Jet Airways would also avoid Ukraine. Greg Raiff, an aviation consultant in New Hampshire, said that if airlines must avoid all the world’s hot spots, flight times would be extended, requiring extra fuel and pilots. Some routes will become uneconomical, forcing airlines to abandon them, he said. Aviation experts said that many airlines continued to fly over Ukraine despite the warnings because it offered a shorter route that saved fuel. Malaysian officials denied that was their motive. Joshua Marks, CEO of aviation-data firm masFlight, calculated that flying over Ukraine instead of around the country saved Malaysia Airlines up to $1,500 per flight in fuel, or 2%, and shaved about 10 minutes off the trip. Yet what continues to perplex authorities as they study Malaysia Airlines MH17 flight route over Ukrainian air space is why did the airline choose to take a markedly different route from that of ten previous MH17 flights? Tells the UK’s dailymail: The pilot of MH17 radioed that he ‘felt uncomfortable’ about the route he was flying while over Ukraine and fatally altered his course to hostile territory, according to an expert. Dr Igor Sutyagin, Research Fellow in Russian Studies from the Royal United Services Institute, believes that MH17 was shot down by rebels based in the 3rd District of Torez, in eastern Ukraine, after mistaking his plane for a government military transport aircraft. He told MailOnline that information had been leaked from a source he was unwilling to name that the pilot of MH17 ‘felt bad’ about his course over Ukrainian airspace, so changed direction. Yet what remains perplexing is Malaysia Airlines insistence that it had not told the plane to alter its course, which raises the question was the change in direction solely the discretion of the pilot and if so what had prompted the change of plans? Which is to ask what made pilots nervous (if we are to believe Dr Igor Sutyagin) and why had they sought permission from controllers to fly at a higher altitude just before the downing and could there have been other disturbances or as some have suggested the specter of Ukraine fighter planes warding off the airliner into the corridor that seldom sees international passenger flights which unwittingly facilitated on ground separatist rebels to possibly mistake it for a transportation cargo plane or a s a possible act of aggression?